My trip to Columbus was intense work-wise but rather uneventful from a saying kaddish perspective, thanks to very understanding clients. 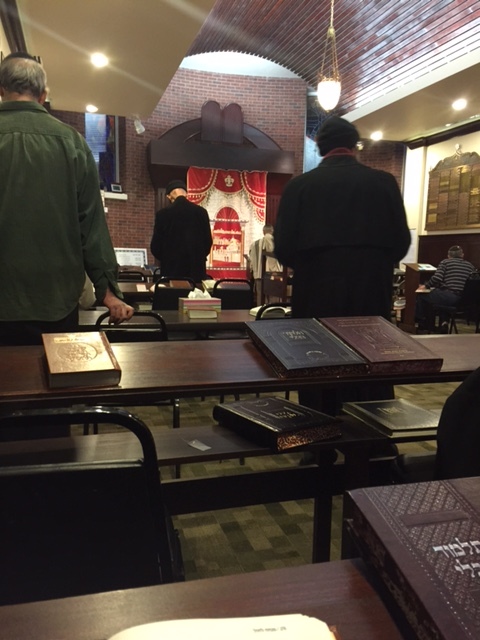 I arrived to Columbus at midnight Sunday night so that I would be able to make a 6:35 am shachris minyan. Monday morning went off without a hitch and after davening shachris( Chanukah and Rosh Chodesh) I was able to make my 8:30 am meeting easily. My concern during the day was whether I would be able to leave my client meeting at 4:15 pm to make a mincha/maariv at 4:50pm. Luckily for me the people at AMP are very respectful and understanding and ended the meeting based on my need to say kaddish. Quite amazing!. With light holiday traffic I was sure to make the minyan with time to spare….that is – until the police blocked off a key avenue near the shul. Waze came to the rescue and identified another route and I arrived just as the minyan was starting. Tuesday morning was the same schedule except that the davening (Chanukah and Rosh Chodesh) that morning took more than an hour. My client meeting was starting at 8:00 am (and included the CEO) and at 7:45 am I emailed my client to say that I was running late. With little traffic and a lot of speed I arrived 5 minutes late. Once again everyone was very understanding. My afternoon meeting ended with time to spare and but for having to say kaddish I could have made an earlier flight. However, in order to make both mincha and maariv I booked a 7:50 pm flight which allowed me to make the 4:50 pm minyan in Columbus. Late this afternoon we left for New Jersey for the unpleasant task of packing up my mother’s house. 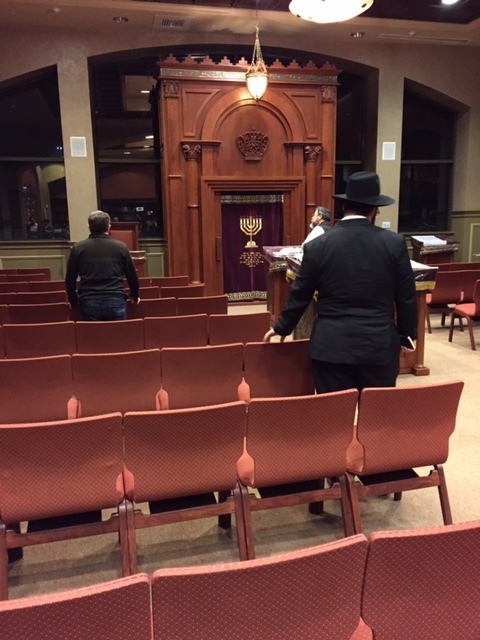 I was able to daven mincha at the Washington DC Agudah before we left and made a 9:00 pm maariv in Englewood. I cannot say that I am looking forward to the next few days. Throwing things out, giving things away and choosing items for family members to keep all has an eerie finality to it.